New range of Touchscreen Jukeboxes! 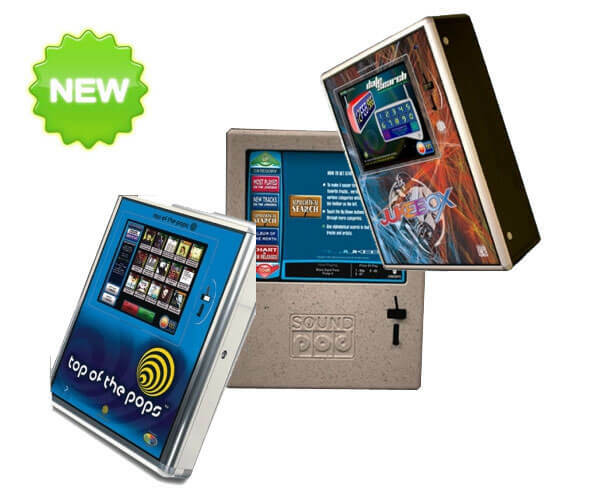 As one of the top retailers in the UK for Jukeboxes we always like to keep our range bang up to date and feature the latest technology. Well these three new beauties new to Liberty Games do just that! These three great digital touchscreen Jukeboxes are all exceptional value for money solutions for providing reliable digital music to almost any environment. Designed with more commercial premises in mind they are capable of linking up to three of the hottest jukebox music technologies around at the moment, Milestones in Music, Milestones in Music AV and RPS 10000. Each offers music provision as well as profiling and high reliability. This ensures your customers always get to listen to the music they want when they want! But if you want one of these for your home don’t let us put you off! We have supplied a number of commercial jukeboxes to home environments before giving a real commercial-quality feel to people’s games rooms. We can help you out with arranging your subscription with the music providers. The downside for the home is that you have to be subscribed to a music provider for these jukeboxes to function, but this may be cheaper than you think. As for features, this is where these jukeboxes really stand out. With simple to use interfaces on a large 19″ touch screen, programmable BGM timers, variable price of play, on screen advertising, happy hours, microphone input, aux inputs and comprehensive data management systems they really do tick all the boxes. And as for adding your music don’t worry, no expensive broadband connections are required as music and videos can be uploaded via CD. As always if you have any questions about these or any of our other jukebox range please give one of our jukebox specialists a call on 0800 612 8180.